This BadVolf desk was built by a master - Mark van Acosta of DeClassified Systems in the Philippines for a very exclusive client, a man who wanted only the best components money could buy. For the purposes of this write up, we will call this man Mr. A - for Anonymous. This client calls me up in Russia and asks if I can build a desk with two motherboards. I said yes. He asked me if I can make it fit two big gaming chairs... and again, I said yes. After the details were finalized, I went about designing the desk of his dreams. This desk is called the Volchara Max and hold two independent systems. Meanwhile, Mr. A bought the parts and sent them to DeClassified Systems. I'll be honest... this and one other desk were the first I shipped out of the country, and it was really a pain in the ***. I learned a lot about logistics, trying to order products in other countries... and I can only thank these really wonderful people for their patience and understanding. Mr. A wanted the Anonymous logo in the side of the desk, so I laser cut the side panels and fitted custom-engraved acrylic Anonymous masks. Just looking at the part list will make any techie's mouth water. I am not going to list all the parts here because they are in the list. All I can say is... these parts are the latest and greatest. One side - we will call him Dr. Jekyll, sports the Asus Zenith X399 and the AMD 1950x Threadripper processor while the other side, Mr. Hyde, holds the ASUS Rampage VI X299 and an Intel i9 7980XE. Have I made my point yet? The four bad *** monitors won't be installed for a bit, but when they are, I will add the photos to the list. Note: PC Part Picker wasn't designed to list two systems in one, so sorry about the strange formatting. LOL, like that'll make a difference. 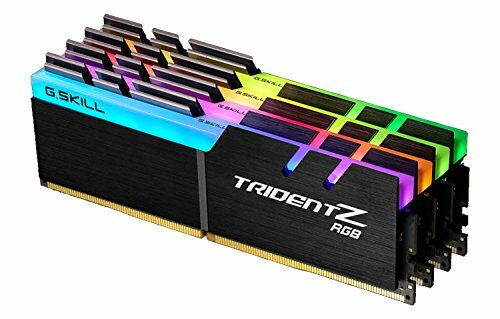 Tfw the ram in this multibuild is more expensive than my "dreambuild" holy cow lmao. The part list is private could you share it in public? Can run Minecraft at high 60 fps????? Dude this computer should be able to run at like 3000 FPS!?. Maybe 3000000? My relatively ****** computer can still run some games on low setting at 1000. Wow. That's a lot of money to spend on the pc's. Super nice. I'm not going to ask what it's used for, just like I'm not going to ask what the buyer does for a living. I can't say I understand the reasoning, but it's full of super PC goodness! Reminds me of the Tron super computer consoles. craziest build i have seen. Water cooled RAM , WTF !?!?!?!?! Pff. Low quality build. I, the superior PC builder, have forty Titan XP's and 20 1080 ti's. 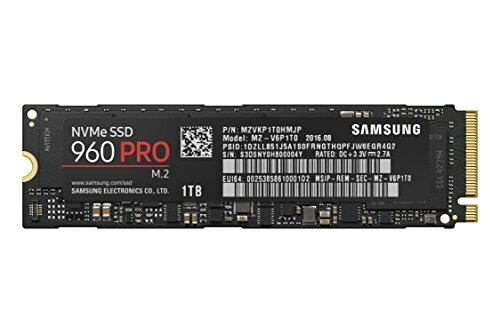 128G of ram per board? I have six of those. Wow. Only one top tier processor. You're so inferior to me. I have six thousand of those. Get on my lel, lel. I bet you don't even have a ceiling compatible nuclear mouse. My motherboards fit seven trillion petabytes of PCI drive storage. Do you even water loop? My water loop has rainbow rgb to increase my framerates to 231908457fps on all games and my monitor has a 28039754 refresh rate to support it. Did I mention that I have 50 monitors that are all 140 inches each? You probably don't even have 70 HTC Vive's like me. I bet you don't even have 1000 gallons of water cooling. Good Job. You've made it to the pricey people leaderboard. I'v never seen a build on here that high priced, you've broken records dude lmao. Stunning build by the way. Sorry that doesn't count. That includes like $20K worth of speakers, TV, Receiver, etc for a home theater setup. are you pc part picker staff? the highest on the website is 30k thats not debatable its factual. once again youre not staff, a moderator or a omnipresent god of the internet you dont get to decide or appeal against FACT, sorry bud. I hope the guy is happy with this, I know I sure as hell would be. Looking at the list not many things to say, I don't really have a clue what this guy wanted to do with this build. Is there any chance you could fill us in on what they are attempting to use this build for, or are you not allowed to disclose that. Really? You have a link? Think about it, in 20-25 years, this pc will seem mediocre and underpowered. When that day comes, I shall laugh as I look back at the $24,000 pc and see a average best buy computer for just under $240. That's not at all the case, pc components from similar time currently may still be viable and certainly are not cheap. $10 rebates!! I'll take one, please. This is art right here. Simply beautiful. BTW all of you Completed Builds add up to $57,913.28!!!!!!! Yeah....it's cool and all.....but can it run Crysis? I smell a feature! Incredible build! I wish I had extra Titans laying around lol, great build, this is low key my dream to be able to construct this, not necessarily this beast of a machine but I want to build a desk pc. Wait, why would you have 2 seperate keyboards and mice instead of wiring a switch box? Amazing build love it wish it were mine just 1 question WHYYYYYY though???!?!?!?!? Pretty ****, can't even run solitaire w/ those ****** specs lol. Just your RAM costs almost 5x my build.. Were any benchmarks run on the build, if so what were they? Geez this build looks nice I was watching the YT vid and it just looks amazing. Phenomenal job man! The water cooling in that desk is so clean. The only thing I can come up with from the looks of the spec is that this is a duel workstation pc where two people can work off a single desk but if it was made for one person would it not make more sense to have a threadripper/i9 set and a gaming setup? As it can the next be used for gaming,streaming and workstation. Great job dude. Really dope build. Can't even imagine how much effort you must have put in. WOW! Dude... did you sell your house to buy this thing? lol no. he said it was for some rich client. what does this guy use it for??? It is obviously a lot of $ to throw at a computer (or two) and all top end parts. But what is impressive, and the reason I bother to comment, is that the execution of putting all this together is excellent. Very nicely build. (It is easy to screw things up and end up with a mess when this much equipment is going into a build). Wow. What you can build with deep pockets. The craftsmanship on the cooling is superb. Beautifully done. The only thing I think would be crazier is 2 dual socket motherboards. I will say it again, WOW !!! Why buy a car when you can buy THIS COMPUTER!! This is the prettiest thing related to tech that I've ever seen. Did you encounter any difficulties when combining the 64GB kits of RAM? I'd like to know if you managed to run them at their rated 3600MHz. Hmmm... new car... new pc... new car... new pc................ ah f*** it new PC! You do know you have 128 more GB of memory than your motherboard can handle, right? Hey on the web site I can’t access the BV Firefight could you send a link or help me? If he donated all those titan xps on the wall he has world hunger would have been solved.